Last week’s sentencing of Dr. Ali S. Makki is yet more evidence our country simply doesn’t care about immigration fraud and the constant gaming of the system by Islamic terrorists and their supporters who continue to invade our country and never pay any consequences. In 2006, I told you about the indictment of Dr. Makki, a Dearbornistan Shi’ite Muslim from a well-known Hezbollah family in South Lebanon. Makki was indicted for immigration fraud and Medicaid/Medicare fraud. As I noted, Makki–several of whose relatives were convicted of cigarette smuggling for Hezbollah in Michigan, New York, and North Carolina–was accused of falsifying immigration and naturalization forms for thousands of Hezbollah-supporting Shi’ite Muslim illegal aliens from South Lebanon, by certifying that they were mentally ill. Mental illness is one of the conditions that allows illegal aliens who cannot speak English to avoid taking the citizenship exam in English, a condition for U.S. citizenship. Makki also falsified records in order to fraudulently bill Medicaid and Medicare for services never performed. And he underreported his income, committing tax fraud, too. And, as I noted, Dr. Makki was “certified” as a U.S. Citizenship and Immigration Services (USCIS) doctor, meaning the U.S. government referred aliens to this man to help them circumvent the system. That’s no surprise, given that at the time, Carol Jenifer headed USCIS in Detroit, and the Bush administration refused to prosecute her–or even remove her from her job–after she was found to have taken bribes. No shocker that immigration lawyers regularly sent their clients to Dr. Makki. In September 2007, when I was mourning the death of my late father from cancer, I received multiple, vile, disgusting, anti-Semitic e-mails praising my father’s death from Dr. Makki’s supporters, claiming that he was never convicted and the whole thing was dropped. In fact, nothing was dropped. In July of this year, Ali Makki pleaded guilty in an extensive 23-page plea agreement to immigration fraud, health care fraud, and tax fraud. His agreement notes that he continued to engage in all of this fraud from 2004, through 2009, even after he was indicted. HUH? Where the heck was the U.S. government stopping him, after already making it public that this guy was defrauding America and punching gaping holes in its border security? The limp Bush U.S. Attorney’s office in Detroit, which indicted Makki, sat on this info for nearly three years while the fraud was being committed and another nearly three years after the indictment was filed. All the while the fraud continued. And the feds even let Makki leave the country to go to Lebanon. If that were you, you’d be forced to surrender your passport and wouldn’t be allowed to go. 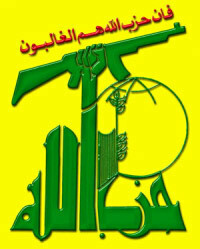 But all things are different for Muslims, especially if they are Hezbollah supporters and enablers. Sadly, on Thursday, Makki was sentenced to only two years in prison, after the limp Obama U.S. Attorney’s office in Detroit sought only two years for this man who allowed countless Hezbollah-supporting Muslim illegal aliens to skirt the system and invade our country, all of them obtaining citizenship. And the feds only made Makki plead guilty to falsifying one illegal alien’s immigration forms. In fact, Makki was known throughout the Detroit area and his native South Lebanon as the go to guy to falsely certify mental illness so that non-English speaking Muslim aliens could obtain U.S. citizenship without taking the U.S. citizenship test in English. As I previously noted, in 2003-2004 alone, Makki charged 500 illegal aliens $300-$400 to falsely claim they were mentally ill. That’s in addition to the $150 per alien he charged them to fill out their medical forms for green card applications. Makki surrendered over $4 million in property to the U.S. government as part of his plea agreement, so you know he was raking in the big bucks from his multiple instances of immigration and health care fraud, billing for medical services on dates he was on a Carnival Cruise and not at work. In 1999, Makki’s medical licenses in Michigan and Iowa were put on probation because of his participation in mail fraud. I wonder how much money he made from that scam. When agents raided Makki’s home in 2004, they found over $76,000 in cash. Yet, he got just two years, after defrauding U.S. taxpayers of millions and helping countless supporters of Islamic terrorism from Hezbollah strongholds become U.S. citizens. Investigators and others familiar with Dr. Makki say the number of illegal aliens he helped to become U.S. citizens–by claiming they were too mentally ill to take the citizenship exam–could number in the high thousands. 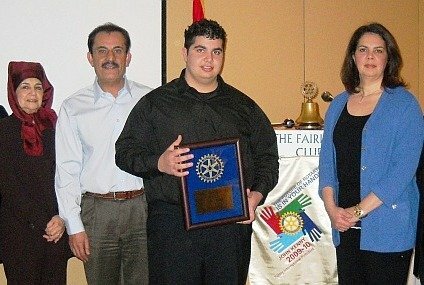 And the shameless Makkis–not embarrassed in the least–continued to hog the money of others, as Ali and Fadwa Makki accompanied their son, Michael Makki, when he received a $5,000 scholarship from the non-Arab dhimmis at the Dearbornistan Rotary Club, this year. So, where are hundreds–and likely thousands–of Shi’ite Muslim Lebanese Hezbollah supporters who’ve since been given green cards and/or U.S. citizenship because of Dr. Makki’s, um, “handiwork”? Don’t assume Michigan and Ohio Immigration and Customs Enforcement (ICE) Special Agent in Charge Brian Moskowitz has his agents looking for them and recommending federal prosecution to strip them of their immigration benefits and citizenship status for their fraud. In fact, assume the exact opposite. These illegal aliens who don’t speak English and are devout Sh’ite Muslim from Hezbollah strongholds are sitting fat and happy on our shores. And we’ll never find them. Because no-one will ever make the effort to find them. Your government at work. As I always say–and it continues to be proven time and again–America . . . Desperate But Not Serious on Islamic Terrorism. Makes no difference that it’s now Obama. Bush was NO DIFFERENT. And I can’t expect more from Obama than I got from Bush–the faux “counter-terrorism” President. Sorry. By the way, John Dingell got nearly $6,000 in campaign contributions from Makki. But don’t expect the Hezbollah-pandering Congressman to return the money. He’s as shameless as Dr. Makki in selling out America. Maybe even more so. Ditto for the National Republican Congressional Committee, which got $500 from Makki. Our good friend Dr. Makki will be out in six months, with time served and right back at it – there’s no real penalty for committing immigration fraud and tax evasion if you’re Muslim. The rest of us dhimmis can’t get away with like he did. Being a Muslim never means having to say you’re sorry when the infidels give you permission to rip them off! When the next terrorist attack comes, each of the two political parties, Tweedledumb and Tweedledumber, will point the finger at the other for lax security. It is a game with them. Look like they care, and pocket the money behind the scenes. And why are we giving citizenship to people who don’t speak English? Whyy are we letting mentally ill people into this country? Why are we letting our enemies into this country? Of course, if you are a Christian from Europe or a Jew from Israel or Canada, roadblocks are often put in your way toward emigration to America. What a sick and twisted country we are. We are mentally ill, because we are suicidal. We have lost our sense of self preservation. Muzzies don’t need to do anything. Just wait for the implosion. The other problem is why people with mental illness are even allowed into this country. We don’t need people with mental illness any more than we do people with physical illness, who are spreading all kinds of previously unheard of diseases. The line between Islamic militants (excuse the duplication) and mentally ill individuals is very thin as the letters when your father died show. Obviously, this quack doctor was still committing fraud, but many of these people are still sick in the head. It’s not about letting people into this country, the problems are already here. We’ve had out eyes closed to the socialist threat for too long. You think terrorism is a fear, everything is already on the inside. Muslims can do anything in the USA and not be held responsible. We have become a country of fools. We are almost as weak as Britain, when will we learn? 911 taught us nothing, indeed the liberals still blame Bush for 911, but it is going to take something bad to happen for the USA to finally wake up and deport these useless terrorists back to their country. We vote for nothing but weak, emasculated politicians who care more about political correctness than the security of our great nation. This is why I admire Vladimir Putin! The first thing that struck me was why the floodgates open to mentally ill people??? The inmates are running the asylum.